Jesse Eisenberg, Kunal Nayyar, Alfie Allen and the rest of the cast of The Spoils are busy rehearsing ahead of the play’s opening in London. Here’s an image from the set of comedy/thriller Now You a See Me: The a Second Act. 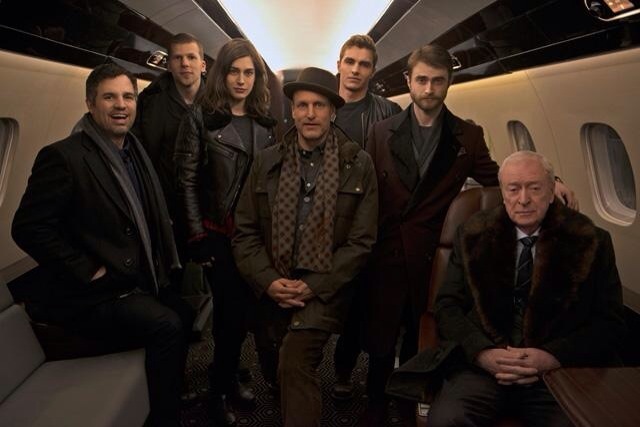 The sequel features a Daniel Radcliffe, Lizzy Caplan and Mark Ruffalo in new roles. Filming is underway for a summer 2016 release.